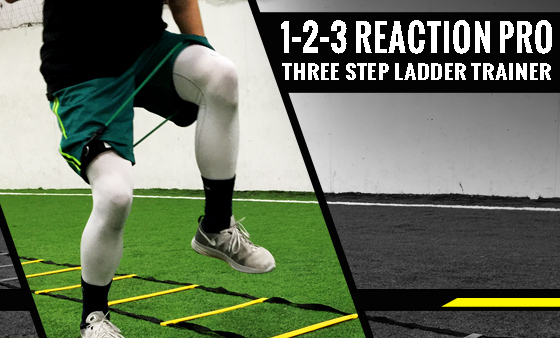 1-2-3 Reaction Pro is a complete ladder trainer. Building explosiveness through 3 essential components you will find your athletic performance increase dramatically. During this drill sequence we will target your hip flexors for a more powerful leg drive during the dig phase of your sprints while optimizing foot speed. Next, we will move into dynamic footwork for more controlled cuts during competition. Last but not least, we will move onto 1-footed sequences helping to develop more body control off one foot. 1-2-3 Reaction Pro is a complete ladder sequence that you will build the foot speed and body control you need to perform at your best. Optimize your results with the power and complete 1-2-3 Reaction Pro before weight training, sprint work, or practice 3-4 times a week for best results. Looking to lose some weight, tone up or just want something new and exciting to use during your workouts? The Full Body Toner is a great workout system designed to get you in and out. Just 30 minutes is all you will need with this high intensity HITT Style Training Workout. Add the Full Body Toner to your smart phone or tablet and workout anywhere.